Slow Joe: 40-year-old virgin; father of 4! A random compilation of the best sleep-deprived thoughts. It's not even December yet, and I'm already all jingled out. We had a good Thanksgiving. We saw family, ate lots of good food, and enjoyed the leftovers. It was a good holiday. But then, as soon as Thanksgiving was over, we were on to Christmas. It started out quite pleasantly. My wife (who is amazing!) 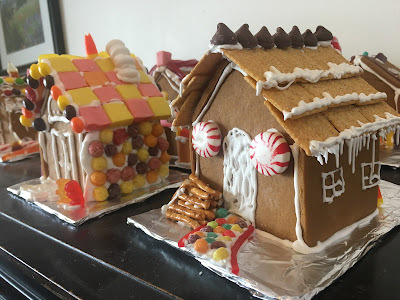 spent hours making homemade gingerbread houses. On Black Friday/Leftover Day, my wife, the kids, my Mom, my sister-in-law, my niece and I spent hours decorating the gingerbread houses. The kids had a blast! (And the adults enjoyed it, too.) It's a very fun family activity, and it's a good way to get rid of leftover Halloween candy. The next day, it was time to put up the Christmas tree, which would have been much easier if all of the pre-lit lights would actually light up and be lit when the tree was plugged in. They didn't. So, it was time for a trip to the store and a new Christmas tree. And then the kids got out the hats. 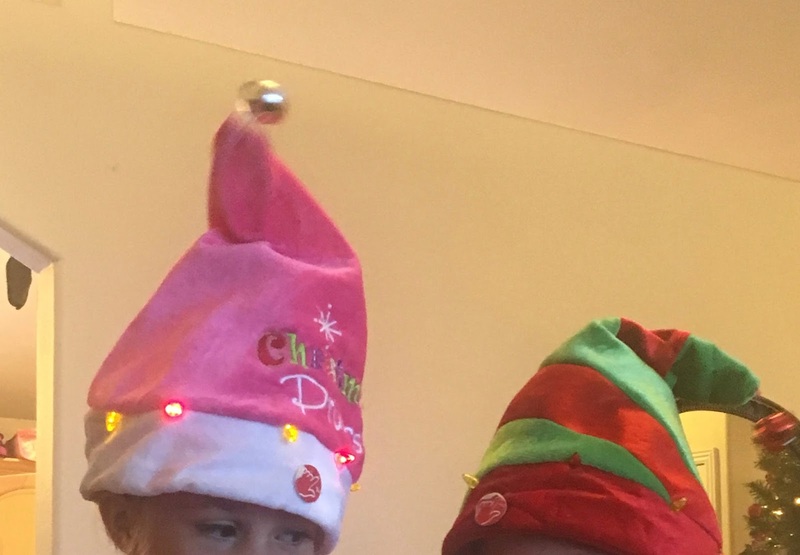 A couple of years ago we got a couple of silly elf hats. They have bells and lights, and they each play a song. (One plays "Jingle Bells" and the other plays "We Are Santa's Elves.") The kids absolutely love these hats, and I like them, too, for about five minutes. It was during the 739th rendition of "Jingle Bells" that I lost it. I yelled, "Stop the hat! I'm all jingled out!" Yes, I was all jingled out, and it wasn't even December yet. I haven't earned the right to be jingled out yet. My wife has. She has already put in hours and hours of work toward making this Christmas a good and memorable one for the kids and me. She is amazing! It's time I help her out. I need to put myself in gear and get in motion. I need to get re-jingled! Why Are These Superheroes So Angry? These Kids Today and Their Trunk-Or-Treats! All writing copyrighted by Joe. Feel free to link to this site, but please do not copy and paste. Awesome Inc. theme. Powered by Blogger.